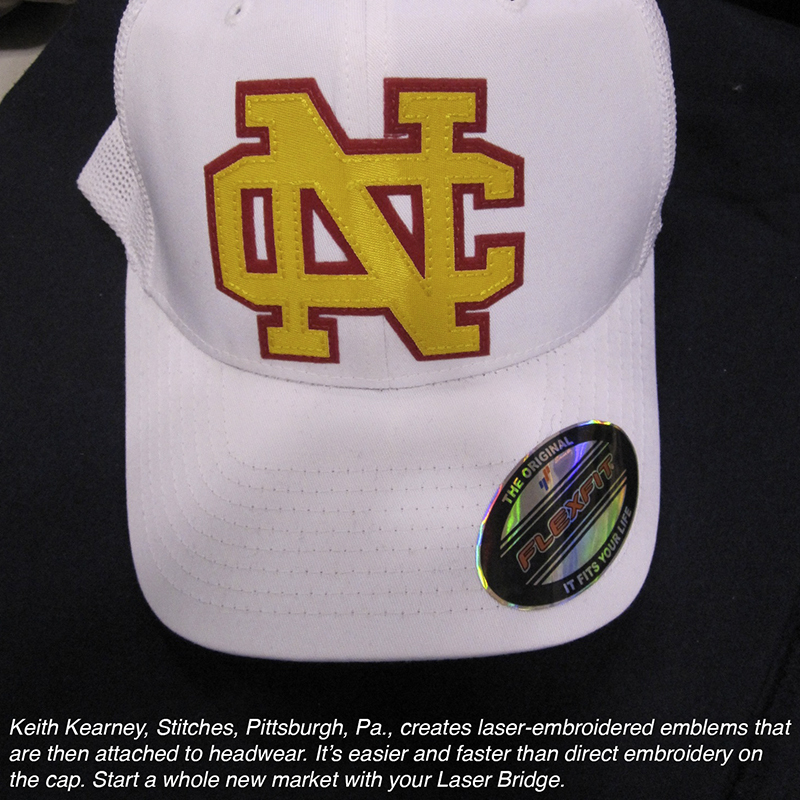 Dramatically speed up appliqué production, break into new markets, and offer services that the competition can’t touch. 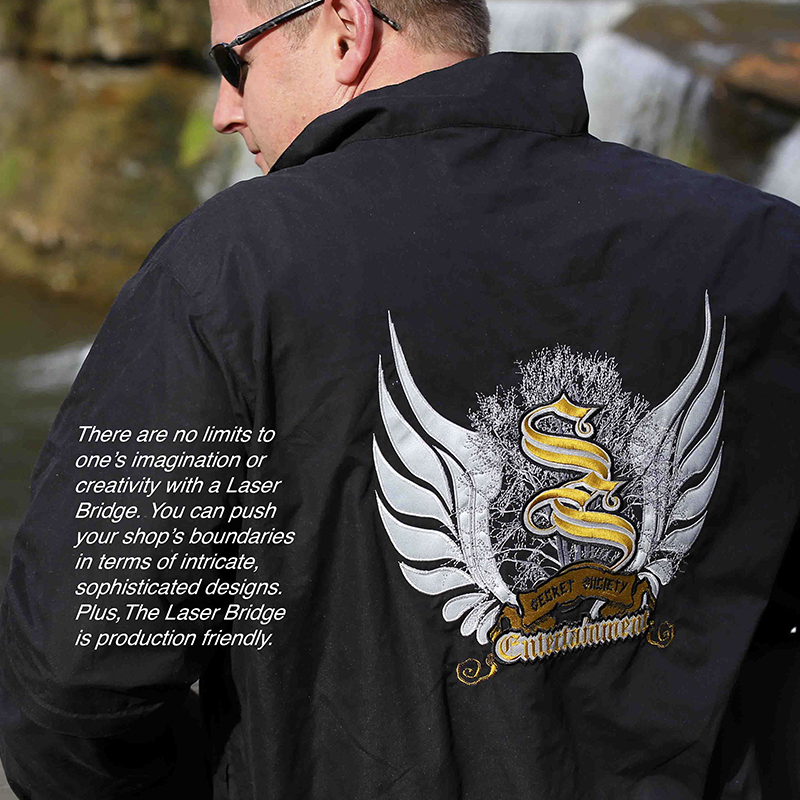 With a LaserBridge you can have an enormous advantage over the competition. 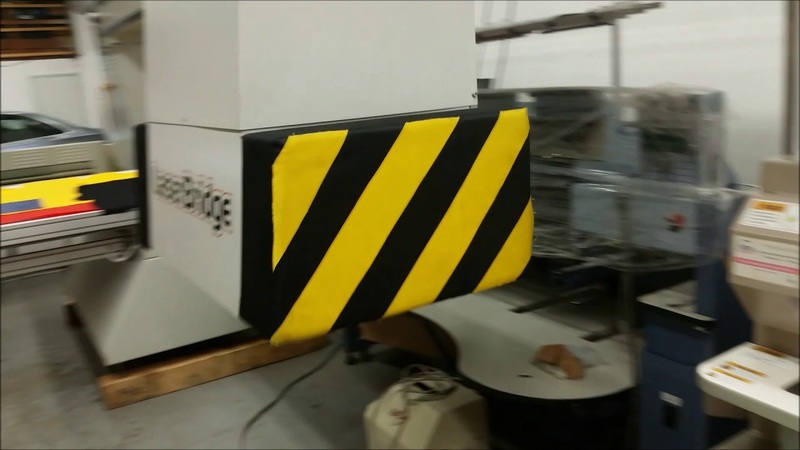 Not only can you turn orders incrementally faster, you can offer your customers a whole new world of innovative looks and special effects not possible without a LaserBridge. If you’re tired of getting into price wars with clients who are comparing your services with other shops, the LaserBridge is your ticket to showing your clients that your shop is a step ahead of the rest. 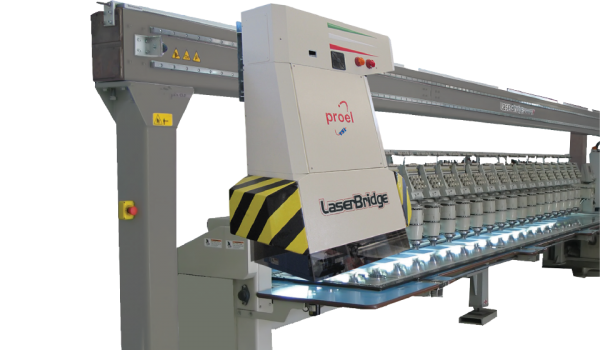 The LaserBridge is an inline laser cutter that uses a high-speed galvanometric laser that moves along a beam positioned above one or more multihead embroidery machines. 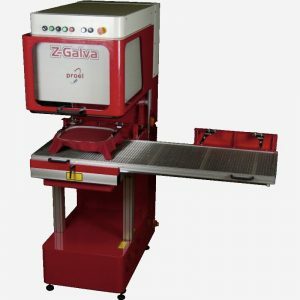 This beam can be installed over embroidery machines ranging from 10 feet (3 meters) up to 120 feet (36 meters), and it can be used with any model of embroidery machine. 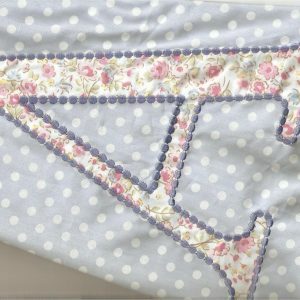 There is no need to cut out appliqué fabric nor position precut appliqué. No spray tack is needed to hold down the design while sewing. Simply lay a piece of fabric on top of the hoop. 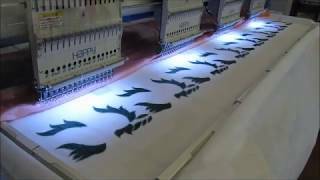 The embroidery machine sews the design and the laser comes down the line, head by head, cutting out each design in a matter of seconds. 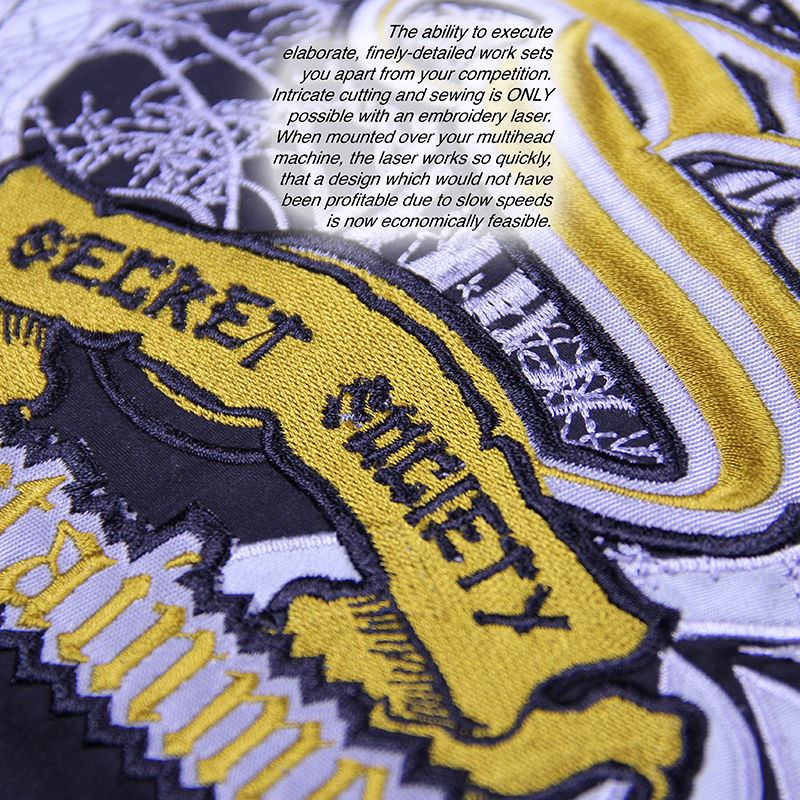 The excess fabric is weeded away and the embroidered design is finished. It’s as fast and simple as that. 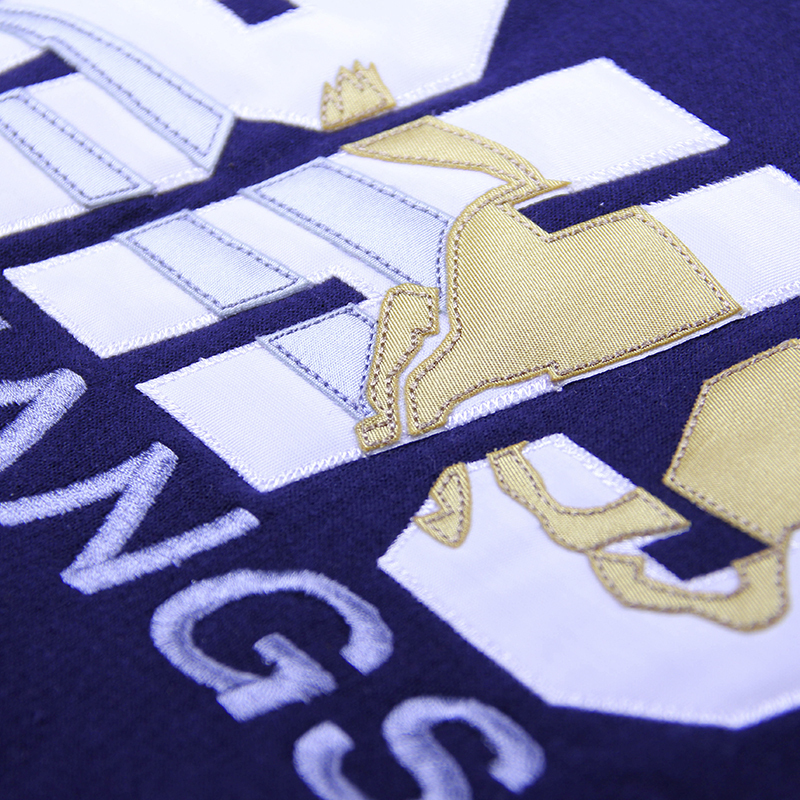 Apply appliqué to garments up to four times faster than traditional methods. 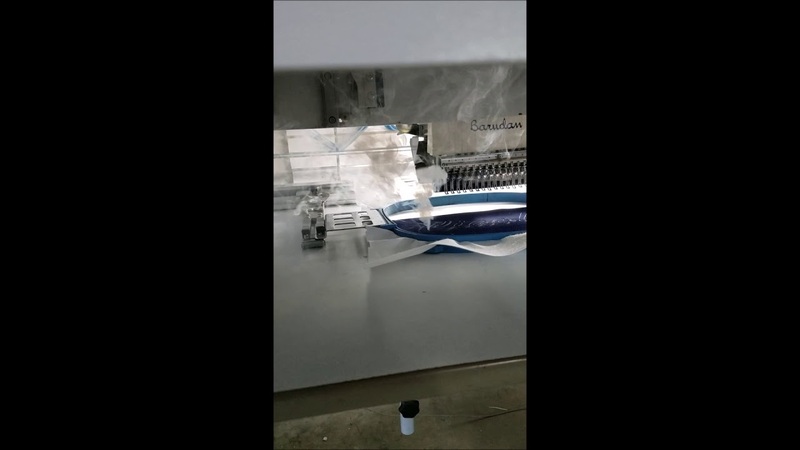 Can be used with any multihead embroidery machine regardless of model or maker. 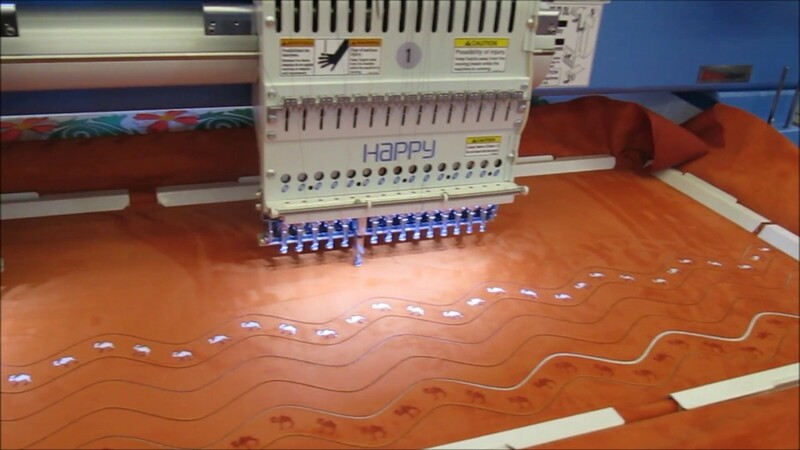 A variable cutting area of 200 mm x 200 mm (8 inches) up to 600 mm x 600 mm (24 inches) for each embroidery head. Totally PC controlled by means of a supplied interface card. 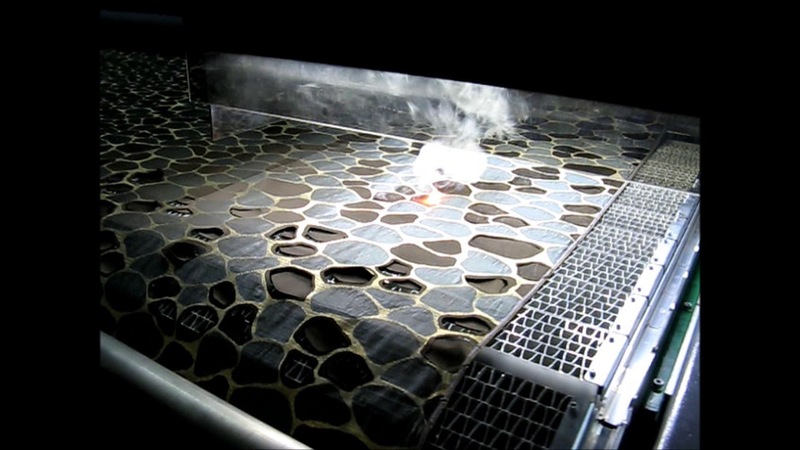 Laser-cutting software has advanced features that make job setup easier and faster. The operator also has the ability to set specific parameters for individual jobs. 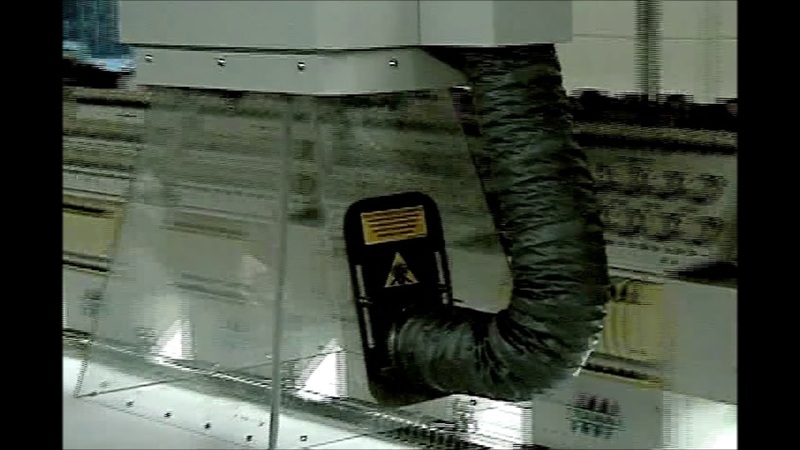 Laser-cutting work parameters include power, speed, repetitions, etc. 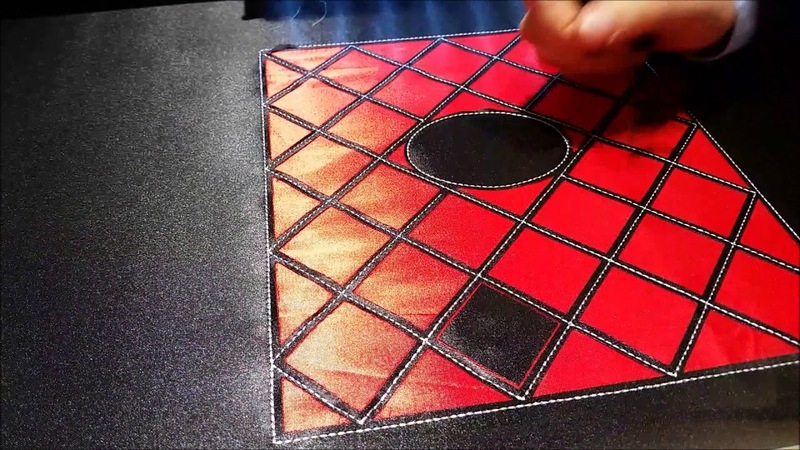 This degree of control makes it possible to use multiple types of fabric in the same hoop each with its own settings. 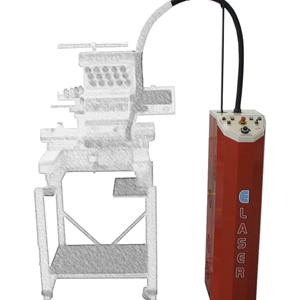 Has a reliable, high-performance CO2 laser source (air or water cooled) with a galvanometric scan head. The external fume suction easily connects to any filtering system. Reliable heavy-duty motors and controls ensure top performance for the life of the machine. Has an extremely strong structure built to withstand the most vigorous production schedules. Innovative engineering solutions guarantee high working speed and performances. 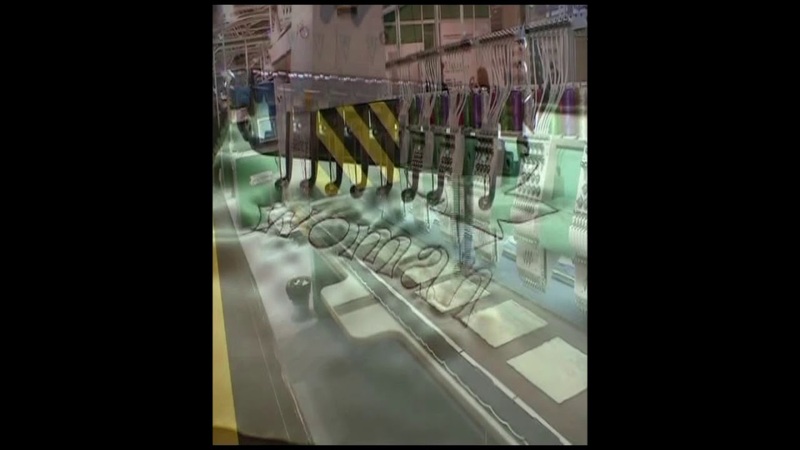 Innovative safety systems guarantee the highest degree of safety in the workplace. Play with different thicknesses, textures, colors, and dimension to come up with unique new looks never before seen. Distressed appliqué. Create the worn, retro look popular with major retailers like Hollister, Abercrombie & Fitch, and Aeropostal. Multilayer appliqué. Do multiple layered designs as quickly as a single layer, and create innovative variations of stacked layers that can be kiss cut to let the background fabric peek through. Reverse appliqué. 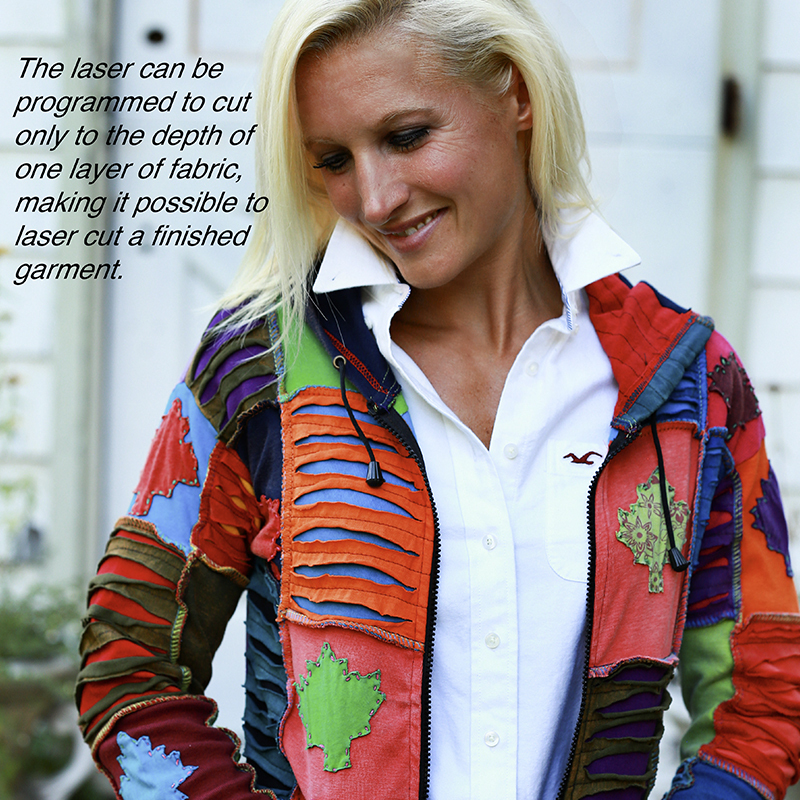 The applique fabric is hooped inside the shirt, and the laser cuts the garment allowing inside fabric to peek through. Intricate cut appliqué. 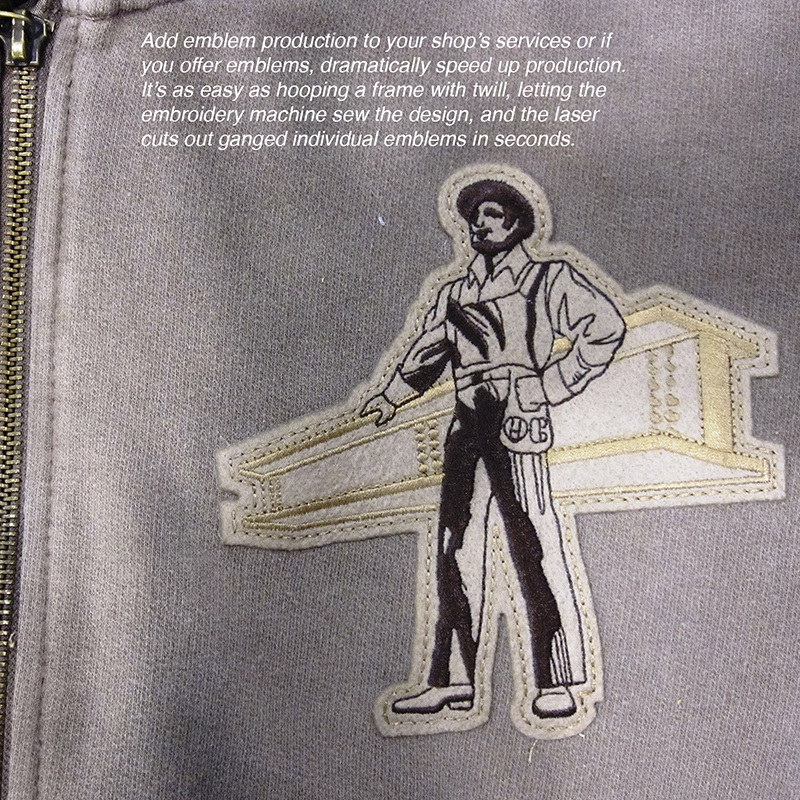 The precision cutting of the laser allows for fine details to be cut and sewn down. Multimedia. 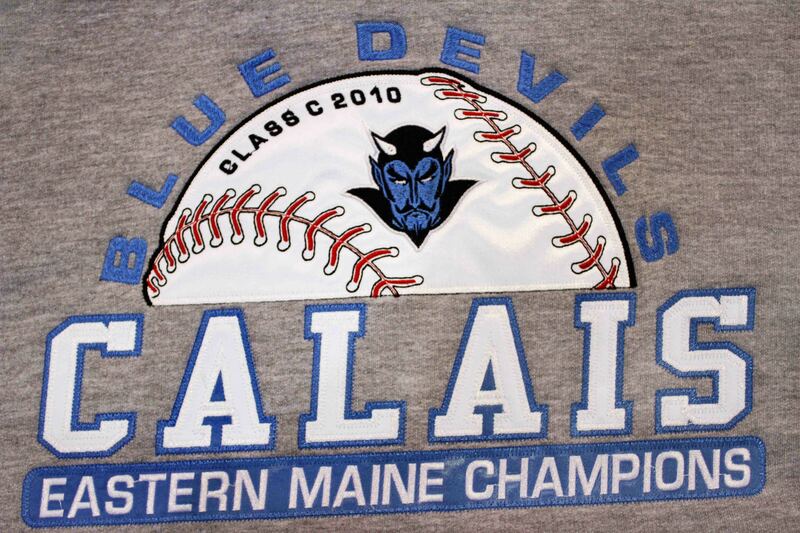 Combine appliqué and embroidery with screen printing, digital direct to garment, heat applied graphics, sublimation printing and more. Etching. 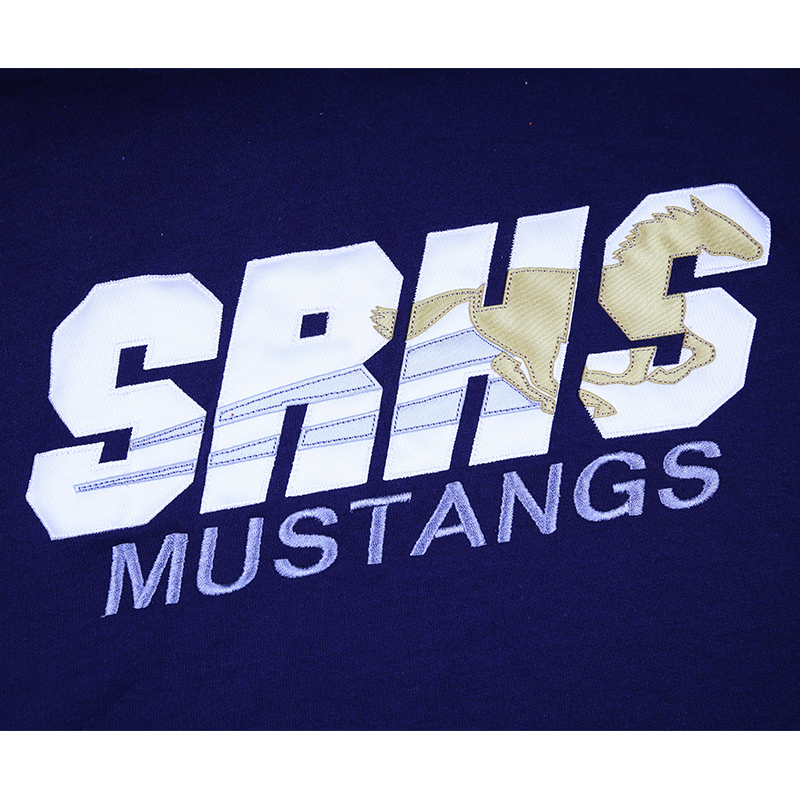 This creates a sophisticated tone-on tone effect on apparel, and it can be done with no thread or ink! 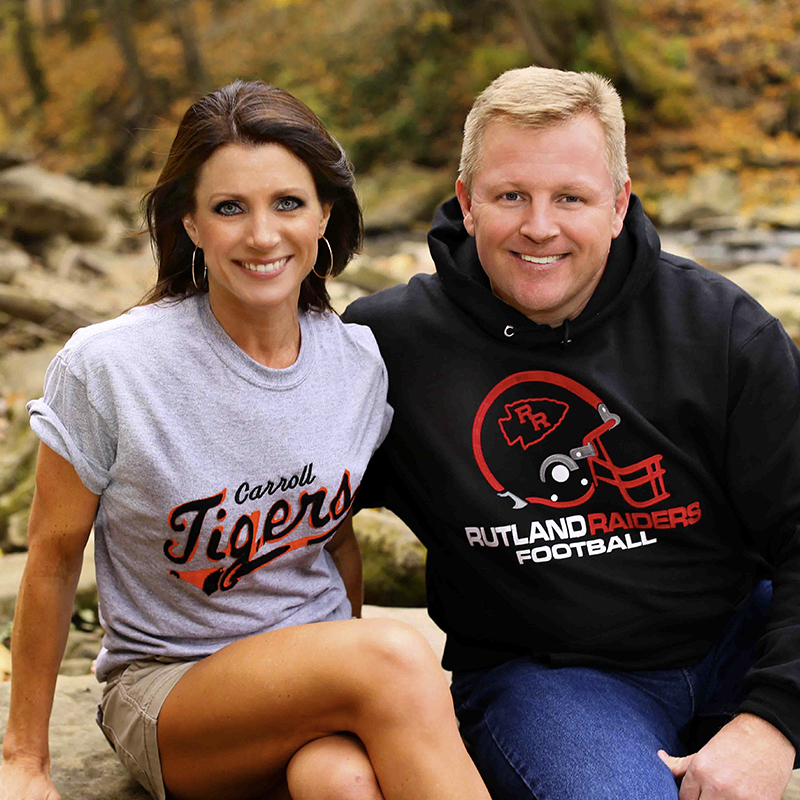 It’s a low-cost, fast technique to put a range of logos and raster photo images on garments. 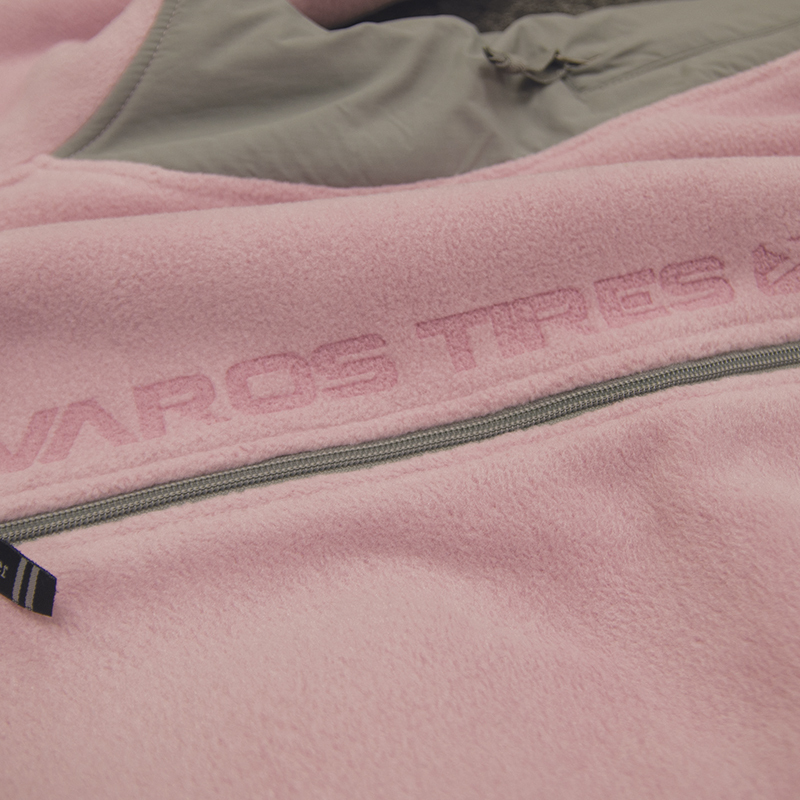 It’s ideal for polyester fleece, denim, leather, and all kinds of performance wear. 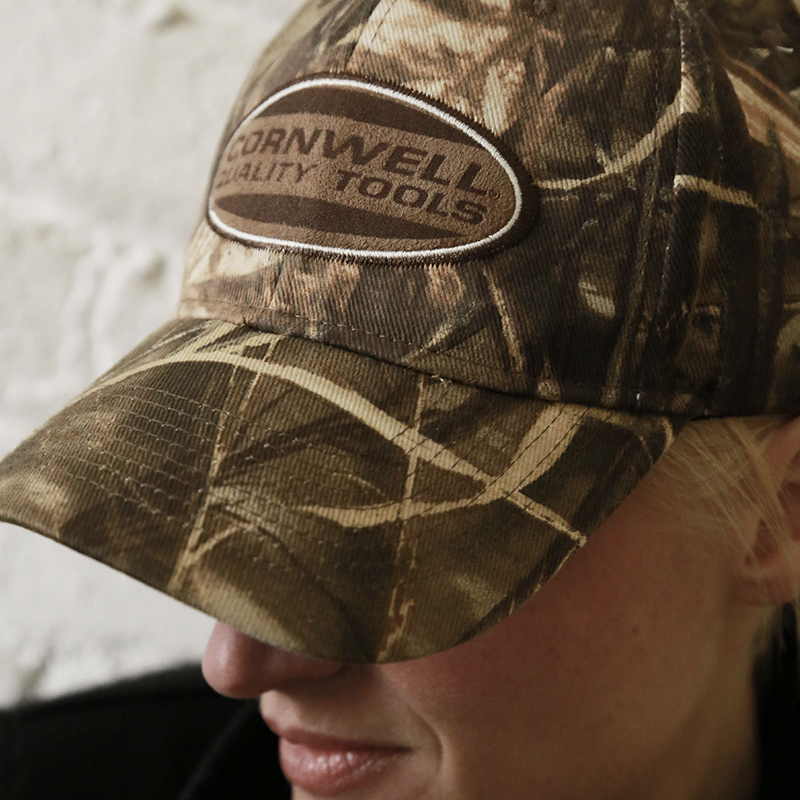 Don’t limit your imagination to only apparel. 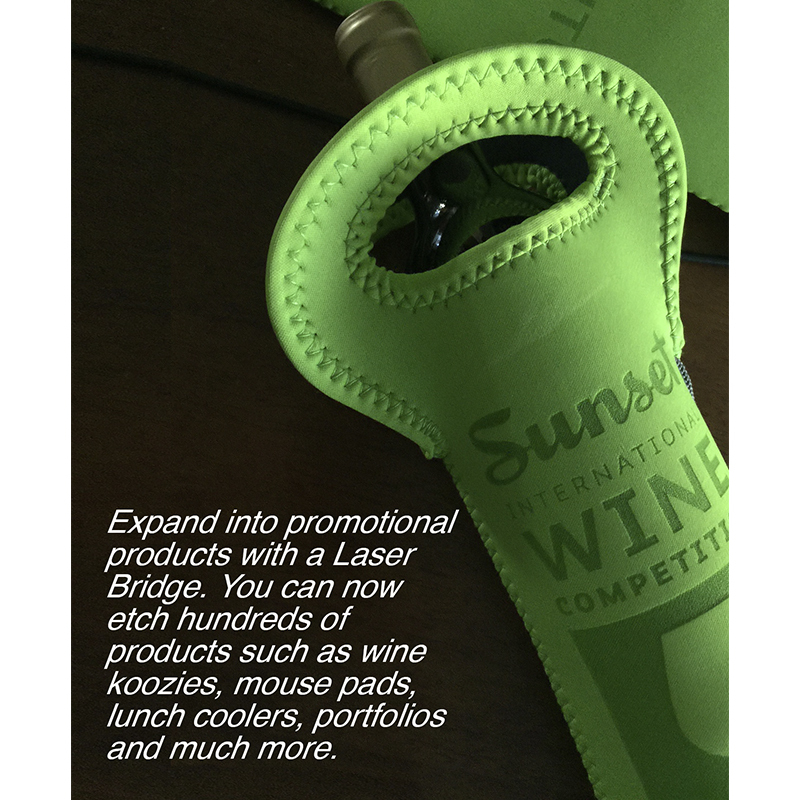 The LaserBridge also can be used to engrave on wood, ceramic, and plastic in the form of portfolios, luggage, pens, plaques, and more. 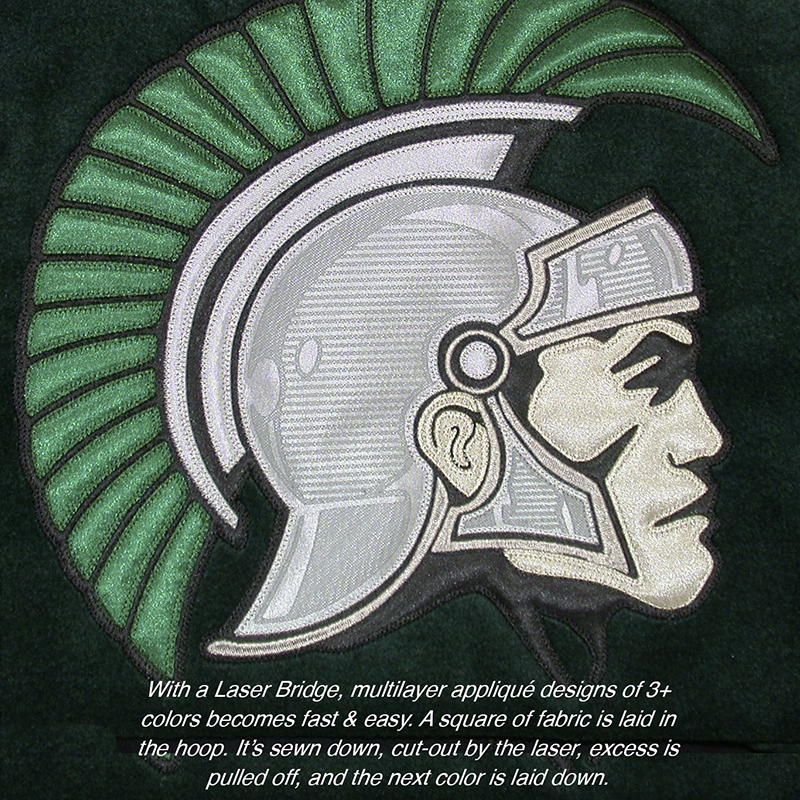 A design “Beach Bum” is moved from the graphics computer to the LaserBridge and a reverse appliqué is created using fish net fabric as the appliqué material. LaserBridge cutting 2 Appliques and Etching above and below the ‘Woman’ design. 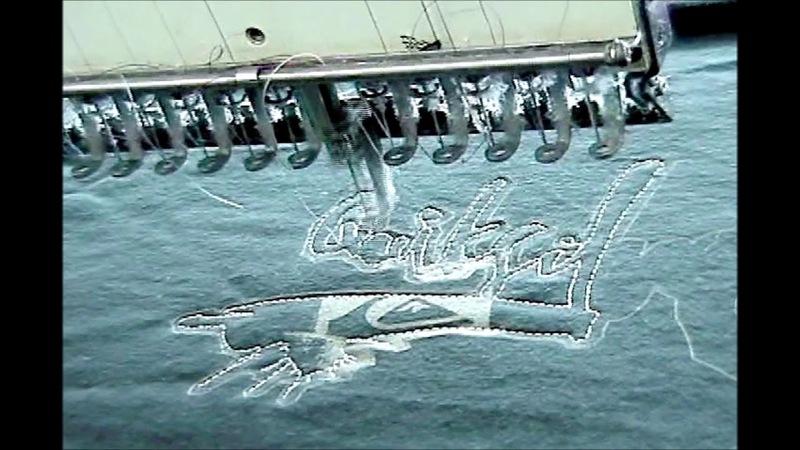 In this video you see a reverse appliqué butterfly created on a ladies’ tank top. Not shown is a mesh material being laid down. Then, shown, is the unfinished ladies’ tank top piece being laid down on top of the mesh. 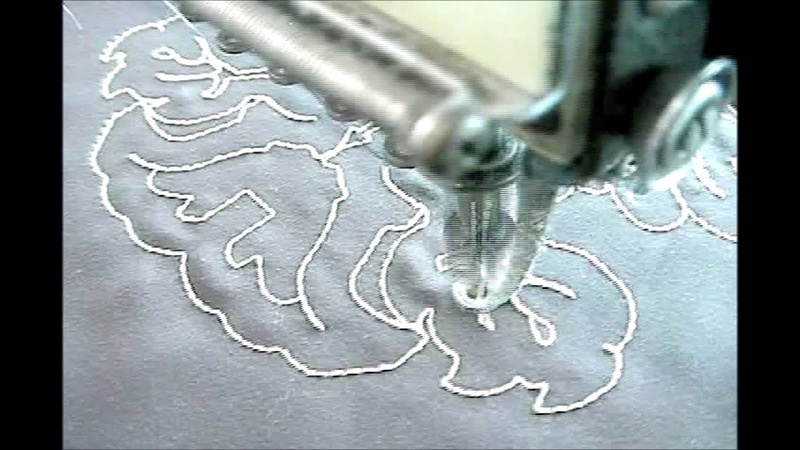 The embroidery machine then sews the butterfly design. The LaserBridge cuts out inserts within the butterfly design. An operator weeds away the cut pieces, and you can see the mesh fabric peeking through the cut portions. 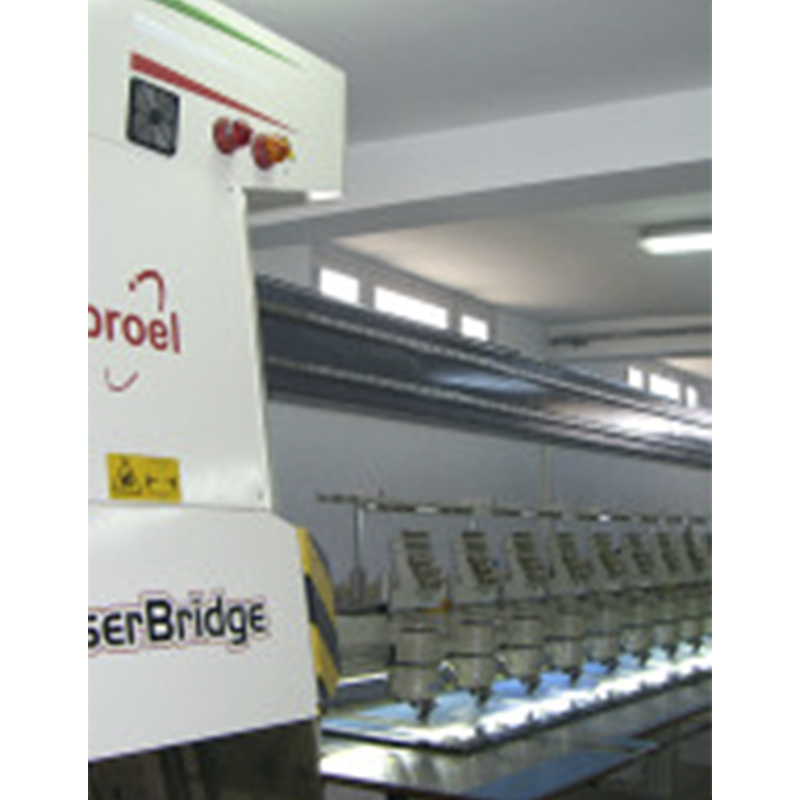 Here, you can see how the roller feeds the fabric under the LaserBridge. 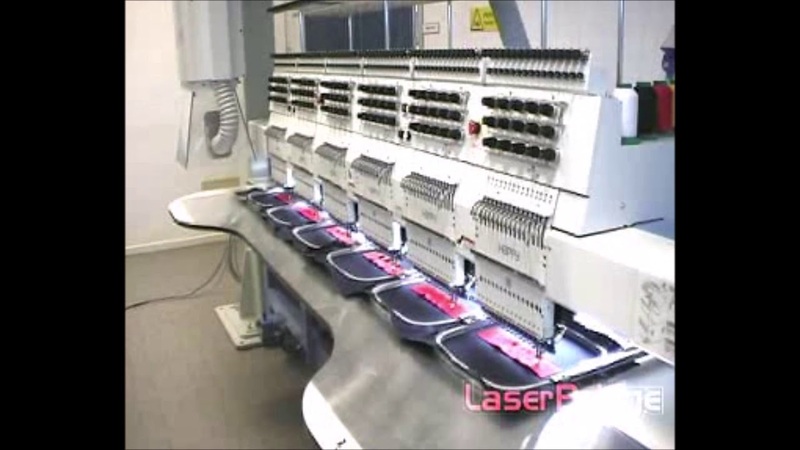 Selected sections of a giraffe pattern are being cut by the laser, and then the fabric is advanced in preparation for the laser to cut the next section. LaserBridge of Continuous Greek Design on Border Frame. 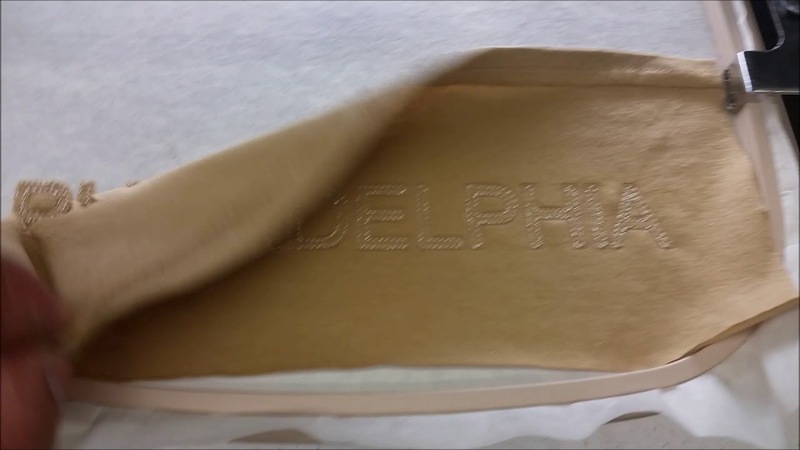 LaserBridge cutting a Reverse Applique of each letter of NEW YORK CITY. 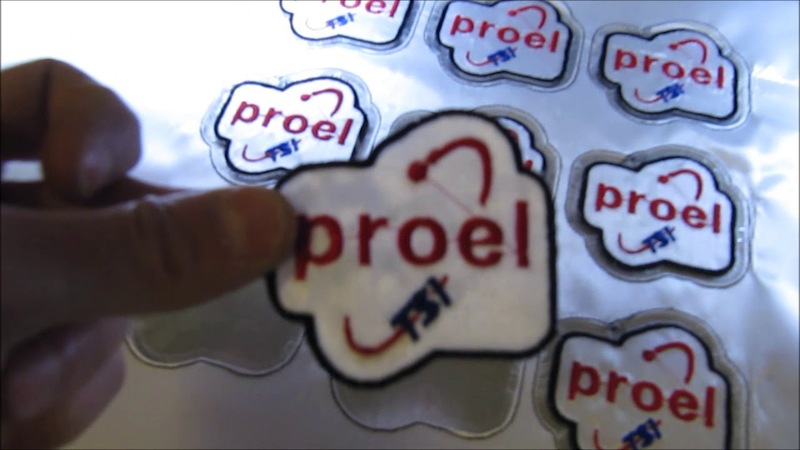 LaserBridge cutting out finished patches of the Proel Logo. 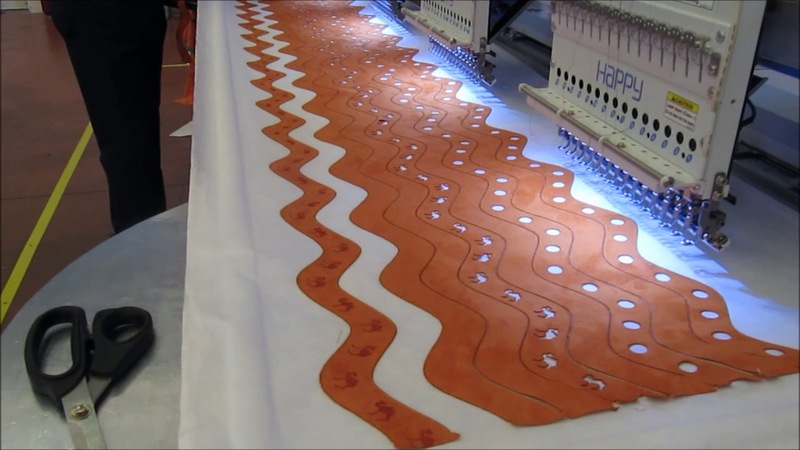 LaserBridge Cutting circles and a continuous pattern on synthetic leather in a Border Frame Part 3. 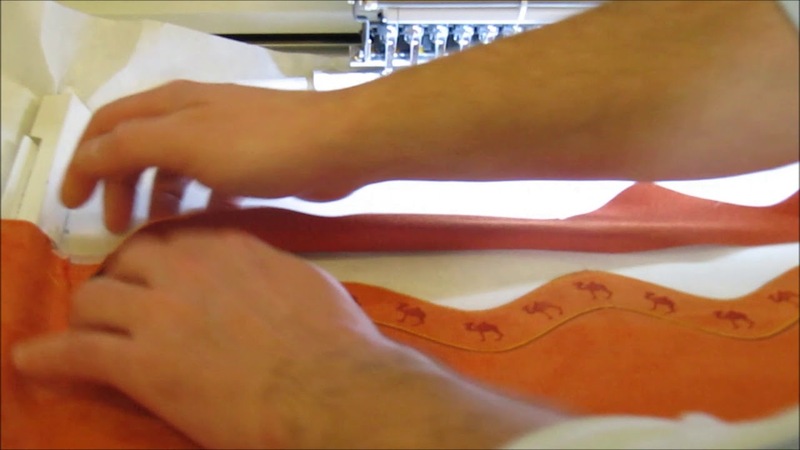 LaserBridge Etching small camels on synthetic leather and Laser cutting the synthetic leather in a continuous strip in the Border Frame. 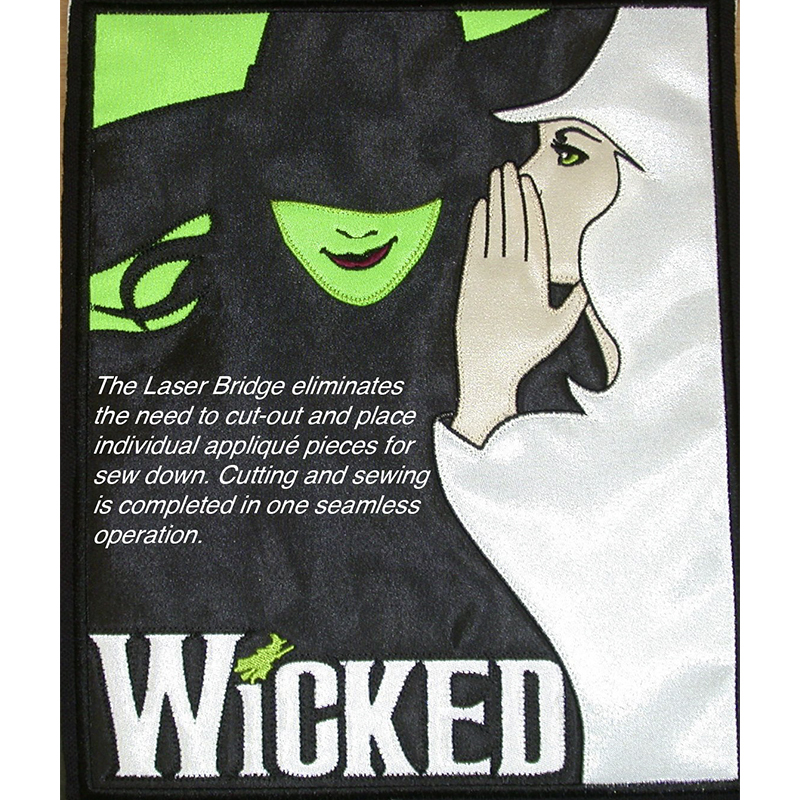 LaserBridge cutting a 2 Layer Applique, Reverse Applique and Complex Applique to make an interior design using satin fabrics. 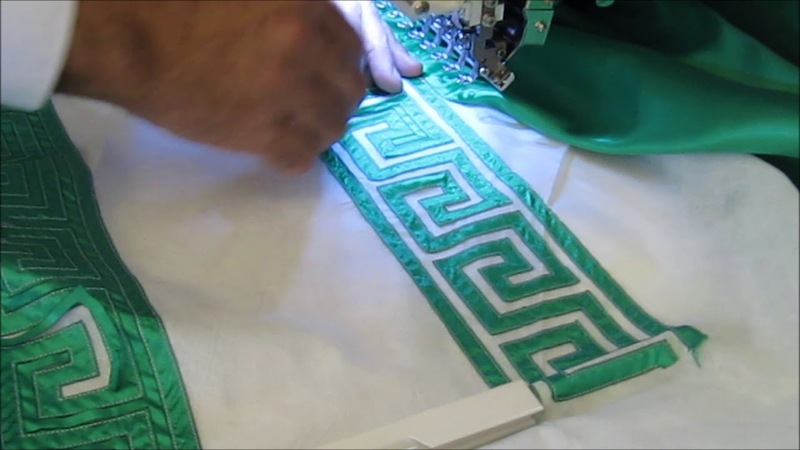 LaserBridge cutting Complex Applique of a continuous Flower pattern on the Border Frame using different color satin fabrics. LaserBridge- 2 Layer Ford Logo. LaserBridge cutting 2 Layer Applique to make the Ford Logo.